Advanced car control often seems like an art form—a balancing act of shifting weight, fast hands, throttle blipping, and endless oversteer. Those wanting to master such a skill set know that nothing beats seat time and instruction in a low friction environment. 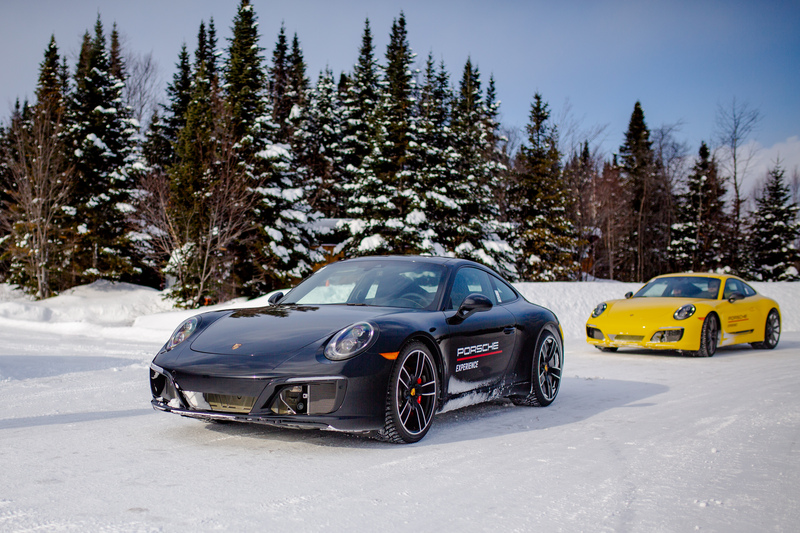 That’s precisely why Porsche is offering wannabe rally drivers the chance to live out their dream with its Ice Experience Canada—a multi-day program that gives guests the opportunity to drive 911s on the snow and ice. This year, participants will take to the ice course at Circuit Mécaglisse, a winter proving ground in the backwoods of north Montreal. Under the tutelage of an incredible cast of professional-drivers-turned-instructors, the Ice Experience is built around a series of courses that help to develop car control skills in a low-risk environment with live feedback. I’ll be the first to admit it: the thought of hammering someone else’s brand new 911 around an ice-covered road course is stressful, to say the least. While I’m sure that I would have to work very hard to damage such a car, as a bit of a perfectionist, I don’t relish the opportunity to be so far outside my comfort zone. It’s -18 Celsius as I climb into the lovely cockpit of a 991.2 generation 911 C4S, a four-wheel drive version of Porsche’s iconic do-it-all sports car. In true ice driving fashion, this 911 has also been fitted with studded tires that offer incredible grip, so long as I remain judicial with my use of the C4S 3-litre V6 engine and its 420 horsepower. Each car has a radio that allows direct feedback from an instructor that is overseeing each course. My instructor is an affable but stern man named Kees Nierop, a.k.a “The Flying Dutchman”. Nierop is about as qualified as one can be, having won the 12 Hours of Sebring and participated in several runnings of the 24 Hours of Daytona Beach. As I roll into the throttle and all four tires literally claw for grip, it’s Neirop’s voice I hear on the radio, pushing me to go faster. The press experience functions as a single day condensed version of the full five-day Ice Experience program (which offers three full days of driving). While I started off rusty and likely way too inside my head, with time and patience (mostly from Neirop) my inputs became smoother and I started to really enjoy the feeling of sliding a 911 around the courses. In the afternoon, I swapped into a rear-wheel drive 911 C2S, which while lighter in the hands is much more prone to spinning if your inputs and throttle work are too harsh or aggressive. The C2S proved to be great fun and while I certainly wasn’t above the occasional spin (if you’re going to spin, do it here) the rear balance and excellent throttle response of the 911 are perfectly matched for this slippery environment. By the end of the day, I was feeling much more comfortable and even got a bit of praise over the radio as my skills were put to the test. 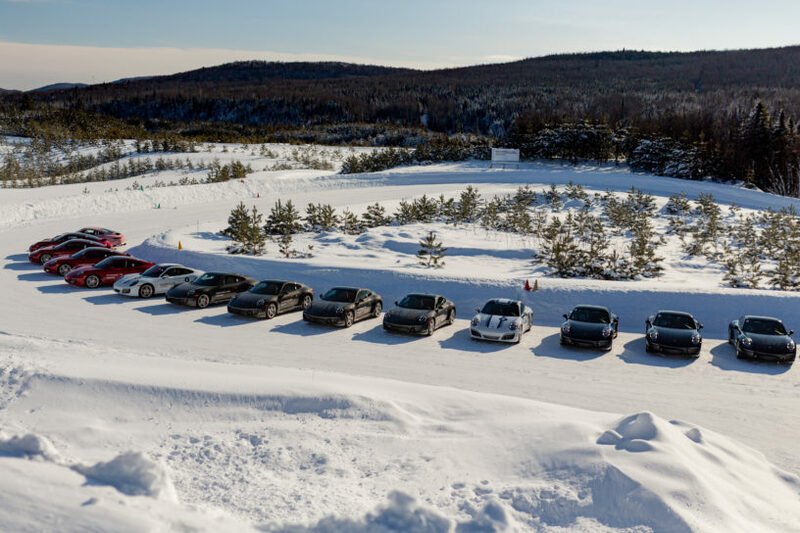 While several brands run similar programs all over the world, not only is Porsche’s Ice Experience Canada easily accessed via Montreal, it’s an intensive high-quality program with its roots in motorsport and the goal of making you a better driver. 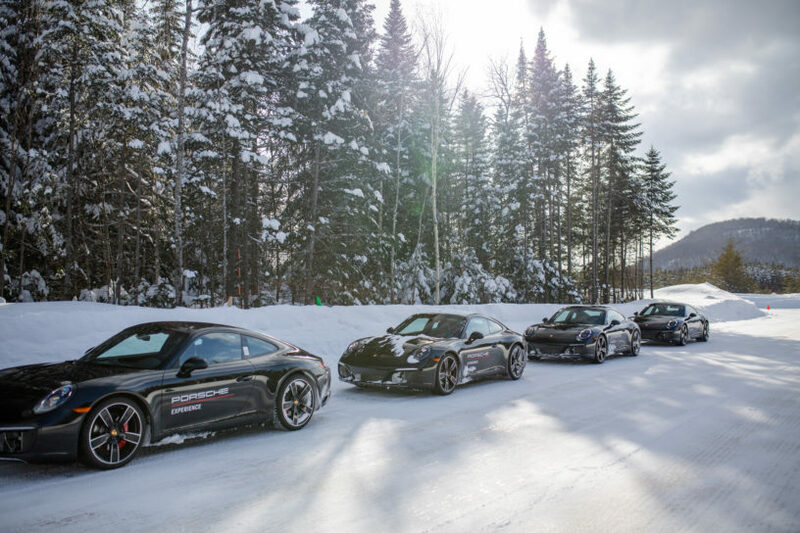 Originally launched for Canada in 2011, Porsche offers multiple levels of the course over January and February, but the full five-day Ice Experience costs $6,795 and includes meals, transfers, and accommodation at the Estérel Suites & Spa. 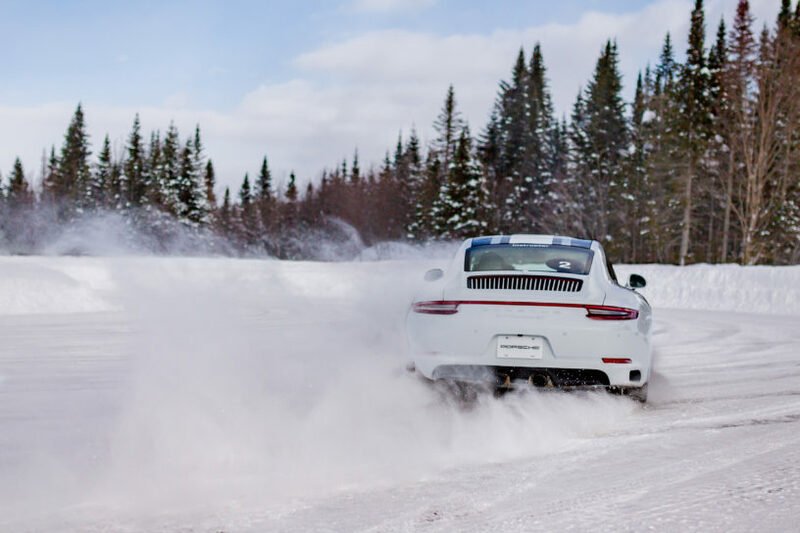 Whether you’re a 911 owner or not, the balance, coordination, and comfort required to drive well on a loose surface translates to all aspects of driving, meaning courses like this can drastically improve all facets of your driving skills—winter or otherwise. After a day behind the wheel, I can confirm I was faster, felt more comfortable, and was able to apply feedback from instructors to drive in a manner that was previously not within my wheelhouse. While I doubt I’ve unlocked a future as a rally driver, Canada is a snowy place at times and it never hurts to have the confidence and skills to manage inclement conditions with a (big) smile.